The Jewish world, both in Israel and the Diaspora, is undergoing dramatic demographic and ideological changes. The past decades have witnessed a steep decline in the power and influence of Diaspora Jews. Israel’s centrality to Jewish life and the ties which link Jews in the Diaspora to Israel are facing considerable stress. Yet Israel has clearly emerged as the guarantor of the continuity of Jewish life. It has empowered the Jewish people. It has absorbed Jews from all corners of the world – ranging from Holocaust survivors to Jews from Arab countries, from Soviet Jews to Ethiopian Jews – and miraculously molded them into a resilient nation. The Jewish state has also now evolved into an extraordinary economic power house outperforming most economies throughout the world as well as becoming a major military force. Despite the media sensationalizing major rifts in Israeli society, there is today a greater consensus throughout the nation in relation to peace with our neighbors than has been the case since the country became bitterly divided over the Oslo Accords. The overwhelming majority seek separation from the Palestinians but recognizes that this cannot be achieved in the absence of security and a peace partner. This is the approach of all Zionist parties. 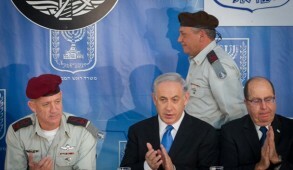 Aside from the Joint Arab party, those opposed to this approach comprise of a dwindling, now almost fringe group of deluded leftists who attract disproportionate attention with their extremist views publicized by the post-Zionist Haaretz, and right wing radicals seeking to annex the territories, despite the fact that this would transform Israel into a bi-national state – another Lebanon. In contrast to the accelerating alienation from Judaism amongst Diaspora Jews, Israel, over the past few decades, has – aside from the ultra-orthodox upsurge – undergone a revolutionary revival of spiritual awakening accompanied by increased religious observance. The Sephardi respect for tradition has led to a greater appreciation of religion and Jewish heritage throughout all streams of society. The aggressive secularism and polarization between the religious and secular streams of the early State has abated and there is even somewhat of a renaissance of traditional and religious observance amongst young Israelis. But major conflicts in the religious arena remain unresolved. The ultra-orthodox ability to exploit the dysfunctional political system to extort concessions and grasp control of the state religious instrumentalities has led to enormous tensions and social conflict. The hijack of the formerly national religious-controlled chief rabbinate by the ultra-orthodox – who despise the institution – has enabled them to impose their stringent control over major issues of marriage, divorce and conversion. 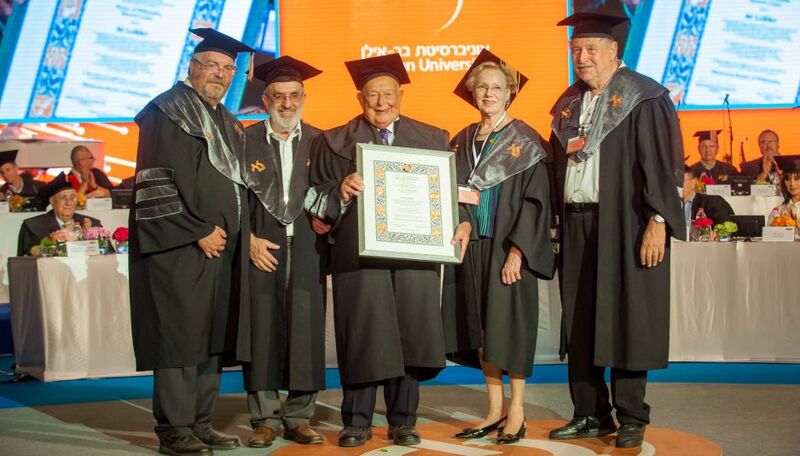 The power of the haredi parties in the government also allow them to maintain an educational system which eschews all secular studies, denying graduates the opportunity of acquiring a meaningful livelihood. Rabbis in the haredi Yeshivot enjoin their students to continue learning full time and discourage joining the national workforce. This has economic implications and dooms most haredim to poverty, dependence on welfare or on the earnings of their wives. Their adamant refusal to serve in the IDF has created enormous tensions and resentment by the majority of Israelis who demand that they share the national burden. In addition, the excessive stringency and lack of compassion displayed by ultra-orthodox rabbis controlling conversion has not only created enormous bitterness but deters those not halachically Jewish from undergoing conversion. This has awesome long term implications, especially with the large numbers of Israeli-born children of parents who made aliyah from the former Soviet Union. Regrettably, no rabbinical leader has emerged to replace the late Sephardi Chief Rabbi Ovadia Yosef whose standing and courage, despite fierce opposition, found a halachic solution which enabled the absorption of Ethiopian Jews. The Ethiopians posed far more complex halachic issues than children of mixed Russian unions who on the basis of Halacha are classified as Zerah Yisrael – and should have been treated more leniently than other applicants for conversion. What has also frustrated most Israelis, secular and religious alike, has been efforts by the chief rabbinate to restrict the eligibility of rabbis officiating in marriage and conversion. This has been extended to the Diaspora where orthodox rabbis not endorsing the extremist approach are blacklisted and their conversions are rejected as halachically unacceptable in Israel. Such a level of centralized global control of the rabbinate is unprecedented. For 2000 years in the Diaspora, every community formed its own local rabbinical court for such purposes. The Knesset sought to rectify such issues as the draft and compulsory core curriculum in the haredi school stream. But with the haredim holding the balance of power in the current government, these reforms were jettisoned. Yet there is light at the end of the tunnel. Many Ultra-Orthodox rabbis today are a far cry from their fanatical pre-state “anti-Zionist” counterparts and realize that the current lifestyle of haredim revolving around study in the Kollel cannot be maintained. They are facing a financial ticking time bomb which can only be diffused by the haredim becoming fully integrated in the work force. 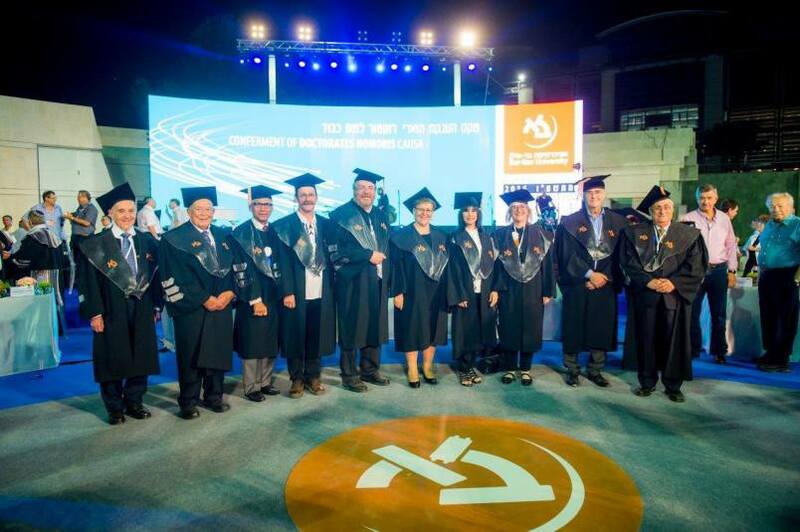 And once that happens, the haredim will, in the course of time, likely emerge as a major positive contributor to Israel’s society at all levels. Notwithstanding all its problems, Israel is at a pinnacle of success and our start-up nation boasts an incredibly strong economy. Ironically, despite being the only nation whose existence remains under threat and faces serious challenges, polls confirm that Israelis are amongst the happiest people in the world. 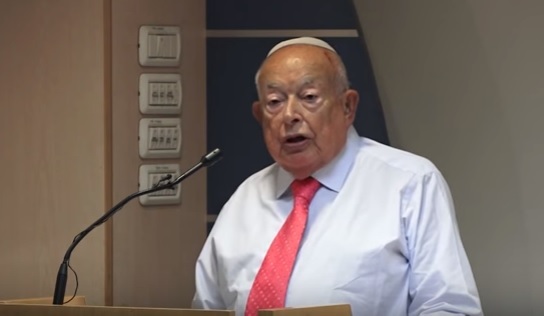 The birth rate is higher than it has ever been with an increase of 195,000 over the past year and a Jewish population now reaching 6,400,000 – about tenfold the number in 1948 when the State of Israel was created. The burgeoning waves of anti-Semitism are generating aliya which is augmented by those settling in Israel by choice in order to enjoy a full Jewish life. 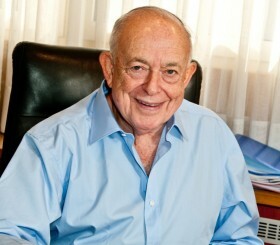 The future of the Jewish people in Israel is assured and will continue to flourish. In stark contrast, the status of Diaspora Jews is deteriorating. Between dramatically eroding identity and escalating intermarriage, combined with an explosion of global anti-Semitism, all Jewish communities face challenges of differing degrees that, at best, will decimate their numbers and their influence. Yet, rampant anti-Semitism has not impacted on intermarriage. Indeed, it is clear that in an open society, campaigning against intermarriage on anything other than religious grounds is a lost cause and considered racist. The statistics are horrendous. In the U.S., levels of intermarriage outside the Orthodox stream run as high as 80%. Only a miniscule number of children from these mixed marriages retain any meaningful Jewish life. 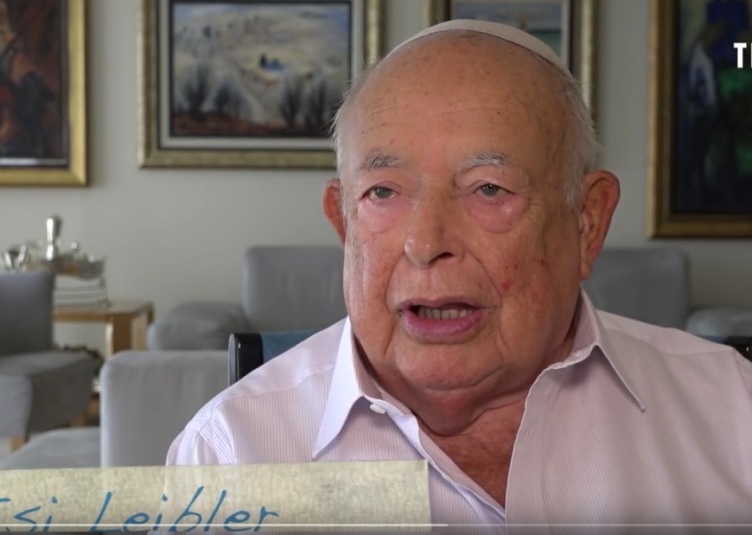 It is clear that if these trends continue – and they almost certainly will – we are witnessing an ongoing dramatic diminution in the number as well as the influence of American and other Diaspora Jewish communities, many of which have already been decimated. The only exceptions are the Orthodox sectors who currently comprise only about 10% of the American Jewish community. They do not intermarry and have much higher birth rates than other Jewish streams (4.1 versus 1.7 children for the non-orthodox which is below the replacement rate). Over the next decades as their numbers increase, it is they -– in their manifold approaches ranging from extremely insular ultra-orthodox Hasidim to the radical “open Orthodoxy” – who are likely to emerge as the most dominant sector of Diaspora Jewish life. The PEW Survey notes a dramatic decline in synagogue affiliation and a major increase in the number of “secular” Jews. But this is misleading because there is no revival of secular culture and this “secular” category is, without doubt, primarily comprised of nominal or totally assimilated Jews. Even if they classify themselves as Jews, the assimilated or offspring of mixed marriages express their “Judaism” by substituting genuine Jewish values with universal liberal objectives such as social justice, often referred to as “Tikkun Olam” – mending the world. This dispenses with particular Jewish objectives such as “tribalistic” support of Israel and ritualistic Jewish observances and turns to “prophetic Judaism” paying lip service to universal issues with no uniquely Jewish relevance. Aggravating this is the extraordinary global re-emergence of anti-Semitism, the world’s longest and most enduring hatred. Those who believed that after Auschwitz, anti-Semites would become an extinct species were deluded. The new round of anti-Semitism has been accelerated by the Islamic fundamentalists who have resurrected the worst Nazi propaganda and initiated campaigns denying the Jewish link with Israel, even condemning Israel for “Judaizing” Jerusalem its holiest site. They are supported by traditional anti-Semites in Western countries, initially inhibited after the Holocaust, who have now come out of the closet in order to join the renewed Jew baiting. The most negative force has been the global Leftist movement which adopted the demonization of Israel as a central component of its world outlook. At a time when the Middle East has sunk into a barbaric Dark Age – with countries imploding, millions slaughtered and displaced – progressives and “liberals” turned their wrath on Israel. 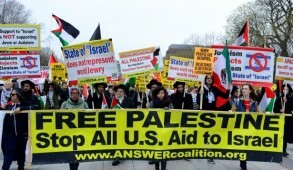 They have allied themselves with the most brutal Islamic fundamentalist forces, betraying their commitment to human rights, engaging in the greatest slander in history by accusing Israel, the sole democratic state in the region, of having been born in sin, of engaging in the occupation and oppression of Palestinians, creating an apartheid regime and behaving like Nazis. A witches’ brew of Islamic fundamentalists, the Left, and traditional indigenous anti-Semitic fringes of the extreme right have united in their shrill demonization and delegitimization of the Jewish state – which has today become a surrogate for traditional anti-Semitism. Whereas during the Middle Ages, the Jews were blamed for all natural disasters facing mankind, the Jewish state now occupies that role and is portrayed as one of the greatest threats to peace and global stability. The rapid global dissemination of this hate propaganda has been facilitated by the era of the internet and its social media. In a pathetic attempt to appease the Moslem extremists in their own ranks and despite the extension of jihadi terrorism in the heart of their major European cities, European governments have intensified their campaigns against Israel. Indeed, European passivity in the face of these anti-Semitic onslaughts is reminiscent of their indifference in the 1930s when the anti-Jewish campaigns were launched by the Nazis. In Europe, the anti-Israeli/anti-Jewish campaigns are now a standard staple of the environment – especially in political discourse, demonstrations, and some of the vile media and talkback. There is pressure on youngsters in schools – frequently guarded by military or security personnel – and in universities which have become cesspools of anti-Jewish bigotry. Jews have once again transformed been into pariahs making prospects for any meaningful Jewish life in Europe very bleak. In the United States – although a far cry from Europe – the status of Jews since Obama assumed the reins of power has also undergone a dramatic transformation. From the outset, Obama was determined to ‘create daylight’ between the U.S. and Israel and blame Netanyahu for the failure to move forward in peace negotiations. On occasions, he treated the Israeli Prime Minister worse than the leader of a rogue state. At the same time, he minimized the PA’s intransigency, incitement and terror. He criticized Israel’s efforts of self-defense during the Gaza war, accusing it of responding disproportionately to missiles launched by Hamas, and even applied moral equivalence to Israelis and those seeking to destroy us. His groveling to the leaders of the Iranian terrorist regime in the course of enabling it to assume regional hegemony and become a nuclear threshold power, created enormous tension with Israel and contributed to the regional chaos which has effectively brought about the collapse of Syria and Iraq. This has profoundly impacted on the Jewish community, the bulk of whom nevertheless continue to support Obama. This is highlighted by the fact that the majority of the hitherto feisty and robust leadership failed to challenge any of Obama’s outrageous statements against Israel despite American public opinion, strongly influenced by the powerful pro-Israeli evangelical Christians, remains highly supportive of the Jewish state. In addition, the growing hostility towards Israel emanating from the left wing in the Democratic Party is undermining the prevailing bi-partisan approach towards Israel. 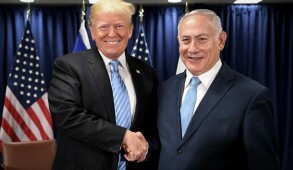 Currently, the polls show Republicans favoring Israel to Palestinians by a margin of 75 to 7 percent whilst Democrats favor Israel over Palestinians by only 43 to 29 percent – a substantial difference which continues to widen. The Obama administration has also legitimized and encouraged the emergence of hitherto marginal Jewish groups like J Street and even more radical anti-Israeli factions promoting the impression that they, no less than the established leadership, represent the Jewish community. This has encouraged renegade Jews to be at the forefront of the campaign to demonize and delegitimize Israel. They are at the vanguard of the BDS movement and demand the right to use Jewish platforms to promote their hatred. In some campuses they lead the anti-Israeli and anti-Semitic movements. They receive major exposure – disproportionate to their numbers – from the liberal media which fawns on them. Jewish anti-Semitism is not a new phenomenon and can be traced back to Jewish apostates in the Middle Ages. During the 19th century Jews like Karl Marx were at the forefront of the worst Jew baiting. Russian Jewish Social revolutionaries even praised pogroms as a vehicle to create a revolutionary environment. There were no Jewish apologists for the Nazis because Hitler ejected Jewish collaborators. But Jews in the Yevsektsia – the Soviet Jewish communist cadres – were amongst the greatest persecutors of Jews, and Jewish communists defended and applauded Stalin’s crimes against the Jewish people and sought to deny or defend Soviet anti-Semitism. Hence, Jews directly or indirectly supporting anti-Semites are not a new phenomenon. But in the past they were marginalized and rejected as outcasts. Their current embrace by liberals has emboldened them and discouraged mainstream Jewish leaders from confronting them. Today, Jewish pro BDS groups, claim that their anti-Israeli campaigns are motivated by their “Jewish” sensitivities and they have the gall to demand representation as an authentic component of the mainstream Jewish community. Unfortunately, some establishment Jewish groups, most recently the Anti-Defamation League, seek to legitimize and include them “in the tent”. In so doing, they ignore the red lines which have been crossed by Jews having the chutzpa to claim to know better than Israelis what is in their best interests, and canvassing foreign governments to pressure the Jewish state on life and death security issues. There are also Hillel groups which, outrageously, provide campus platforms for these deviants to demonize the Jewish state. Who are these Jewish anti-Israeli forces? A small percentage are alienated Jews who realize that entry into the citadels of the liberal glitterati obliges them to condemn Israel as an extension of imperialism born in sin. Many are attracted to the anti-Zionist chic because in student circles this approach provides them with social acceptability. Their leftist bona fides as Jews can only be upheld if they condemn Israel, the local Zionist Jewish establishment and the ‘narrow’ particularism of Jewish nationalism. The majority are youngsters who are only nominally Jewish with no Jewish background. Many are the offspring of mixed marriages and lack any genuine sense of kinship with their fellow Jews. Their Judaism amounts to providing lip service to social justice. This applies especially to the younger, more assimilated elements for whom the Holocaust and the struggle to create the State of Israel are only history lessons. When interviewed in opinion polls, these nominal Jews deny their background because, by any objective criterion, many simply do not think as Jews. Yet, the vast majority of committed Jews remain faithful to Israel. It is their leadership which has been disappointing. The American people overwhelmingly support Israel and committed Jews represent an influential community. Most of their leadership are devoted Zionists and friends of Israel and they should not have allowed themselves to be intimidated, and merely whisper or mutter about their anguish over the mistreatment of Israel. It is scandalous that today, the Zionist Organization of America is the only representative Jewish organization consistently speaking out against the Obama administration when Israel is being mistreated. Committed American Jews should be spearheading a massive campaign, urging the US government and Congress to stand by Israel diplomatically in this time of need. The mainstream leadership should publicly condemn Jewish “liberals” who are subliminally or directly blaming Israel or extending moral equivalence to Israel with those seeking its destruction. They should realize that if they fail to act against the possible abandonment of Israel by any administration and hesitate disassociating themselves from those Jews distancing themselves from Israel, history will record them as cowards who failed to stand up and be counted at what could be a crucial turning point in Jewish history. To summarize: Israel remains under siege and is globally isolated but is powerful and prosperous. It faces a long term threat from Iran, but is better able to defend itself and deter its adversaries than at any time since it was created. 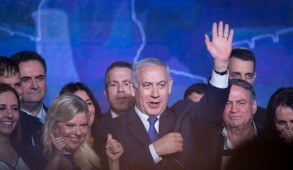 Internally, despite religious and social challenges and being burdened by a dysfunctional political system, Israel is – by far – the greatest national success story of the last 100 years and all trends signal further progress and national consolidation in the years to come. In contrast Diaspora Jewry is experiencing various levels of crisis and the future looks bleak. Conditions for Jews in Europe are likely to worsen as the impact of the new wave of Muslim refugees and immigrants strengthens existing anti-Semitic communities and exerts further pressure on lawmakers to intensify their anti-Israelism. The Jewish communities, which require armed guards for protection in schools and synagogues, will also continue to be the principal targets of Jihadi terrorists in Europe. To raise children to be proud Jews in this environment is an almost impossible task. Add to this the intermarriage statistics and desire of some Jews to relinquish their identity and merge into their national communities, it is clear that Jewish communities in Europe and South America will become decimated. The situation in the U.S, Canada and Australia is less acute. But even there, the level of anti-Semitism has risen, the campuses are hotbeds of anti-Israeli and anti-Jewish incitement, and the liberal media has become hostile to Israel. One can no longer argue that American Jewry is unique and immune from the tensions affecting other Diaspora communities. Despite the support of many evangelical Christians and public support for Israel, many Jews are concerned, insecure and sensitive to accusations of displaying dual loyalties. More significantly, American Jewry is being decimated by intermarriage, sharply reducing its numbers and influence. There is also a dramatic polarization within American Jewry between the orthodox and reform with rapid erosion of the centrist groups like the Conservative movement. In a reversal of roles, the future of the Diaspora is dependent on support from Israel. Israel will need to engage in global campaigns to strengthen the eroding Jewish identity. Programs like Birthright must be encouraged and intensified. Investment is required to provide higher levels of Jewish education which today is at an all-time low in communal Jewish literacy. The fact is, that despite its many challenges, Israel is an extraordinary success story and will determine the future direction of global Jewry. There will always be Jews living in the Diaspora. Simon Rawidowicz referred to them as “the ever dying people”. But will they continue to enjoy vibrant communities? Hopefully, aside from turning to Israel as a haven from persecution, increasing numbers of those sensitive to Jewish continuity, will also opt for aliyah or at least encourage their children to do so.